My Dad lent me this book that he had received as a Christmas present and I have to say I probably would not have bought it myself. Des O’Malley was a Fianna Fáil TD between 1968 and his expulsion from the party in 1984, during which time he occupied three ministerial positions and served as government chief whip. He founded the Progressive Democrats, a party he led until 1993. He was a central part of Irish politics for three decades and his rivalry with Charlie Haughey is already the stuff of legend. O'Malley comes across as a self-righteous crusader against terrorism and corruption. Nothing wrong with that, but you'd think from this book that he led the charge against all evil in Ireland for three decades. He is particularly antagonistic towards Haughey and Albert Reynolds. He's not afraid in his book to say so if he doesn't like somebody. 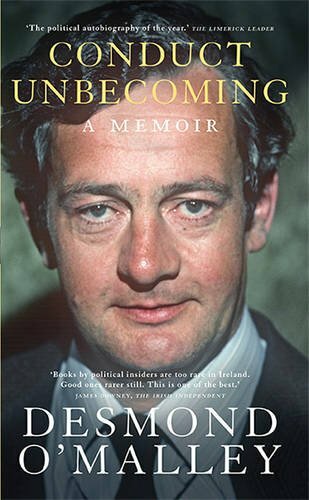 He does give Haughey credit for some things - which I'm sure given the tone of the book was a difficult thing for him to do. He was also very critical of his predecessor as Minister for Justice - Micheál Ó Móráin, whom he labelled as an incompetent and an alcoholic. This would have made for difficult reading for Ó Móráin's family. The Arms Crisis in the 1970s makes for very interesting reading - for me this was the best part of the book. The Beef Tribunal stuff near the end was so boring that I seriously considered abandoning the book with only a few pages to go. I would have liked to have learned more about O'Malley the person, much of the time reading the book it was like reading a quick version of late 20th century Irish history. There's no doubt that Des O'Malley made a huge contribution to Irish politics and to the nation. He sacrificed a lot (something he told us several times in the book) and never sought the highest office. He tried to break the mould of Irish politics by forming the Progressive Democrats - a party that ultimately failed despite spending several years in Government. 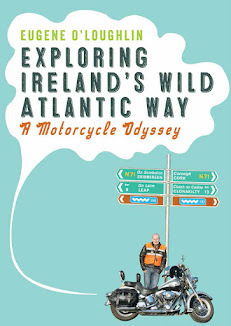 Overall - this is a book that students of modern Irish history will find interesting and a worthwhile read. If you see it second hand in a book sale - it is worth a few quid to buy.